Knockanean School Makes the news! On March 16th, there was great excitment in the school, when a film crew from BBC news came to film some of our 1916 commemorations. Read more and view some of the coverage here. 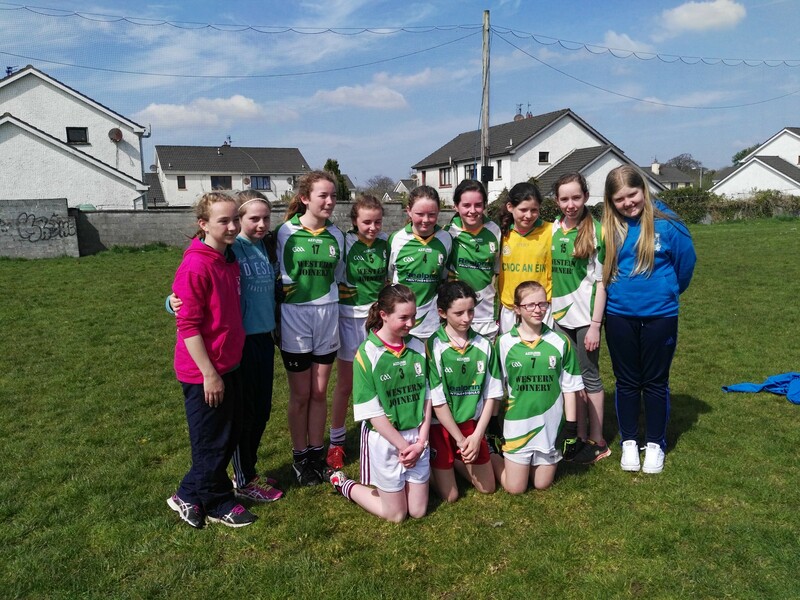 On Friday, April 22nd, the Sixth Class girls did very well in the Mini 7’s Football final. Read more here. Tuesday March 15th, 2016 was Proclamation day, when our school commerated and reflected upon the events of 100 years ago. 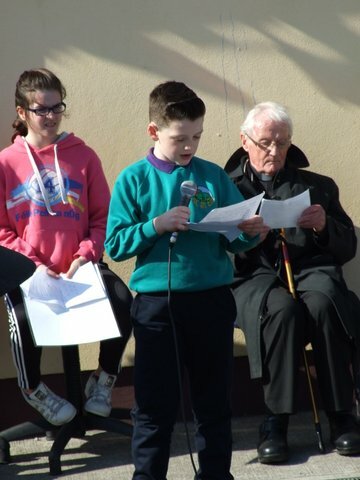 We celebrated with music and drama and Sixth Class composed an inspiring new proclamation for 2016 which was read aloud on the day. The ceremony culminated with the raising of the Irish flag. There was much excitement when singer-songwriter Declan O’ Rourke visited the school on Wednesday March 16th and performed his song ‘The Children of ’16’. View some photos and read more about our Easter Rising commemorations here.